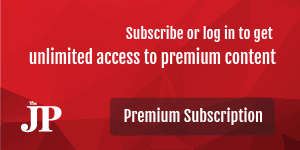 More than 100 people have died of dengue fever this month, with the largest number of fatalities, 41, recorded in East Java, 13 in North Sulawesi and 12 in East Nusa Tenggara (NTT), the Health Ministry has said. Dengue had also killed people in 16 other provinces by Saturday, Central Java recorded nine fatalities, one in West Java and seven in South Sulawesi, the ministry’s director for vector-borne and zoonotic diseases Siti Nadia Tarmizi said. The ministry has recorded at least 9,634 dengue cases in 372 cities and regencies across the archipelago during this year's rainy season when dengue-bearing mosquitoes are most active. By Saturday, four regions, Kupang city and West Manggarai regency in NTT, Kapuas regency in Central Kalimantan and North Sulawesi province had declared a dengue emergency according to Siti. “Several provinces have also seen a significant increase in dengue cases: East Java, Central Java, West Java, Jakarta, Lampung, South Sulawesi and East Kalimantan, as well as NTT and North Sulawesi,” Siti told The Jakarta Post on Saturday. In East Java, dengue cases so far in January have increased to 1,634 compared with 1,114 in January 2018. West Java, meanwhile, recorded at least 1,085 cases as of Jan. 22. “But that number only represents 21 regencies and cities; not all of the total 27 regencies and cities have submitted their reports,” West Java Health Agency's head of infectious disease prevention and control unit Widyawati said. State-run Hasan Sadikin hospital in the West Java provincial capital of Bandung has also recorded more dengue cases this month. “Usually in a month we treat eight to 10 dengue patients, but this month, at least as of Jan. 24, we have already treated 55 patients. It’s a huge surge,” hospital director Nina Susana said, adding that the hospital might consider allocating hallways or other hospital wards for dengue patients should the number increase further. Kupang declared an emergency on Jan. 23 across the capital of NTT following what Kupang Health Agency head I Wayan Ari Wijana described as “a large increase in dengue fever cases in three consecutive weeks since early January”. The number grew from 21 cases in the first week of January to 82 cases in the second week and to 127 cases in the third week. The dengue emergency is aimed at ramping up vector control, including through fogging, the use of larvicide and the “3M” burying-draining-covering method to eliminate standing water open to mosquito breeding. “Every subdistrict must conduct fogging as soon as possible. Do not wait until someone dies to carry out the measure,” Kupang Mayor Jefirstson Riwu Kore told his staff recently. 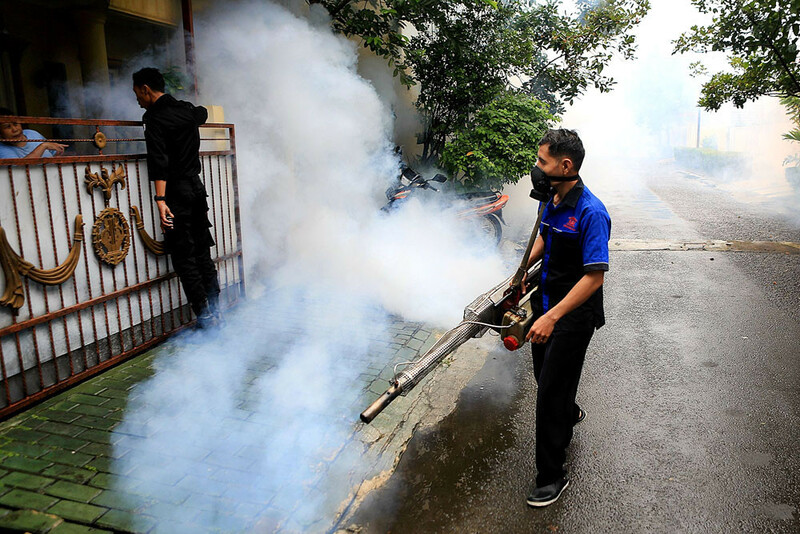 In mid-January, West Manggarai regency declared a dengue emergency, saying it would prepare almost Rp 2 billion (US$142,191) to handle the outbreak, including by fogging and larvicide use in four areas where most cases were found. At least 263 cases have been reported across the regency so far this year. Dengue fever cases were also recorded in neighboring Manggarai and East Manggarai regencies. -- Aman Rochman, Arya Dipa and Novi Abdi contributed to the story from Malang, Bandung and Balikpapan.